The boat bow is the leading edge of a ship. The bow pierces oncoming waves. While all styles taper laterally to a knife, their more general horizontal and vertical shapes are either clipper, spoon, raked, or plumb. The most traditional is the clipper bow. With this style, the bow inflects inwardly while curving forward. 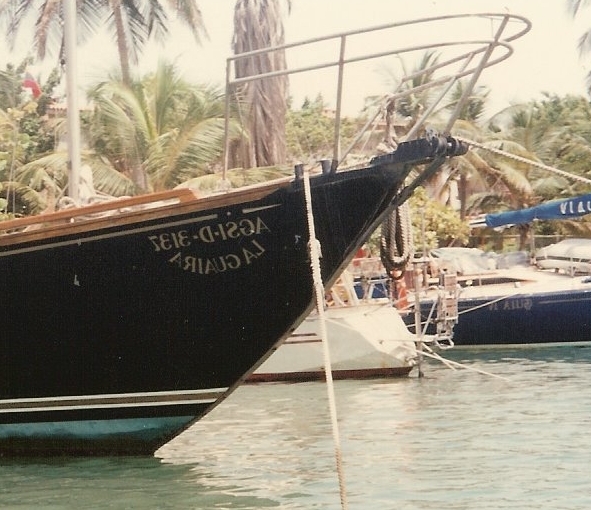 The style usually couples with trailboards and a bowsprit for a pirate look. Examples are Cabo Rico, Bayfield, Vagabond, and Formosa. Next in vintage is the spoon bow. The spoon convexes to the deck like the back of a spoon. The curse is either low or high chin meaning the curvature is most gradual near the waterline or deck. The high chin is famously paired with a raked stern for the CCA long overhangs. Raked is the most common and popular today because of the functionality. The raked means the bow slants straight from the water to the deck. The bow line is a flat forward angle without curve. 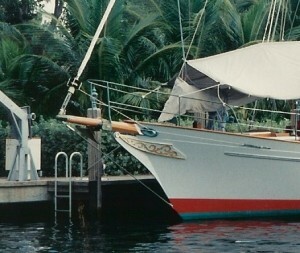 The raked bow increases accommodations. Because the acute angle is usually less than 45 degrees, the forwarder waterline position allows for a larger forward stateroom V- berth. You will see a raked bow on most of today’s production boats like Hylas, Valiant, Swan. The plumb bow, ie vertical, has the maximum waterline length. Racing boat use the plumb bow to maximize speed. The plumb has a straight edge. The major styles are clipper, spoon, raked, plumb, and tumblehome. 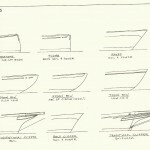 Chances are any yacht you see falls into one of these categories. All have style and functional benefits. 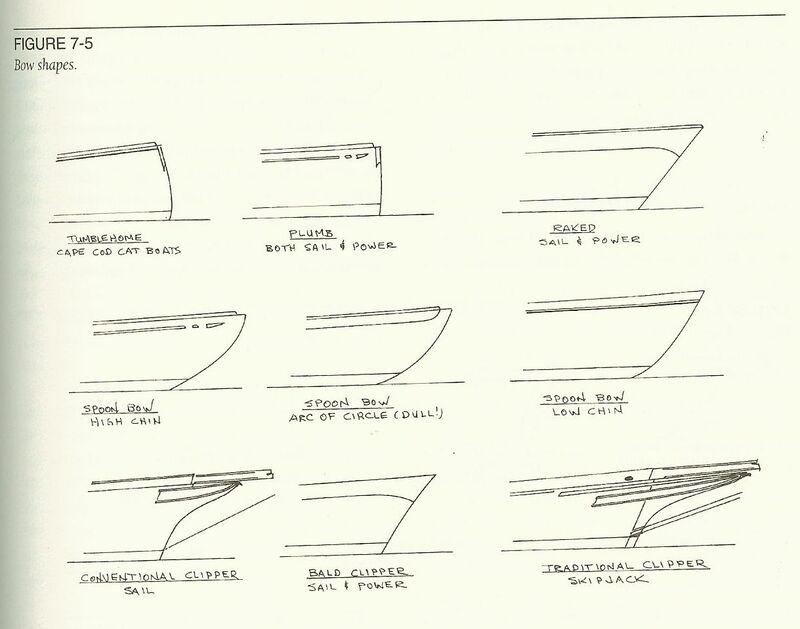 They most notable fit into certain eras of boat design.